Should I Buy Manual Transmission Or Automatic Transmission Car? Before I compare Manual and Automatic transmission, I should answer the two basic question for those who are not sure of what I am talking about. What is Manual Transmission ? Manual transmission cars are the cars that allow the driver to change the gears as per driving needs and there is a manual clutch pedal used while changing gears. The clutch uses solid clutch plate and pressure plate mechanism. What is Automatic Transmission ? Automatic transmission on the other hand works automatically depending on the vehicle speed and engine speed. In automatic transmission cars, there is no clutch pedal, and clutch-plate mechanism is replaced with a hydraulic torque convertor. If you are confused about which car to buy, Manual transmission or Automatic Transmission, I will help you take the decision based on the merits and demerits of both of these so that you can take a better decision. Preventive Maintenance Cost Preventive maintenance cost for Manual transmission is slightly lower. Preventive maintenance cost for automatic transmission car is slightly higher. Comfort and Convenience Manual transmission is less comfortable as the driver has to operate clutch to change gears and it can be lot of inconvenience in a congested city traffic with stop and go type of situation. Automatic transmission is very comfortable as the driver needs not worry about the clutch and there is no need to manually change the gears with changing speeds. This adds a lots of convenience in city traffic where we have lots of frequent stop and go conditions. Driving Skill It requires more skills to drive a manual transmission car as there has to be a coordination between speed and gears. 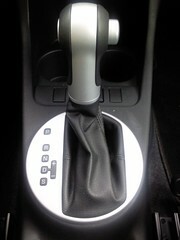 Also driver needs to operate clutch whenever moving from a stopped position and while changing gears. It takes more time to be habitual of smoothly driving a manual transmission car It requires lesser skills to drive an automatic transmission car compared to manual transmission car as the gears are changed automatically by the transmission system of the car so the driver needs to operate just the accelerator, brake and steering. The driver need not coordinate for the gears as per speed and does not need to operate the clutch pedal. Thus it takes less time to be habitual to drive an automatic transmission car smoothly compared to manual transmission car. Why should I buy Automatic Transmission? If you are in search of driving comfort convenience and luxury, and you do not mind spending some extra money on cost of car and fuel, go for Automatic Transmission and you will be happy with the comfort and convenience of driving an automatic transmission car. Automatic transmission is highly recommended for stop-and-go congested city driving. Why should I buy Manual Transmission? If you are very specific about value for your money and you want best possible fuel efficiency from your car, you should buy Manual transmission. Alternatively, if you drive mostly on highways or out of city, where there is no much need to change gears frequently, you can buy Manual transmission car. If you are a racing enthusiast and want the best possible thrill out of your car, I would recommend you to go for a manual transmission as it gives you freedom to choose your gear ratio at all the times giving you the extra punch when you need it. Just ask your question using comment box below in case I have not covered your concern in this article. I will be happy to have a discussion and answer your queries through comments.